The right sock is just as important as the right shoe. But what type of sock do you prefer? Do you like tight or thin, or thick and cushy? What about synthetic or natural? Tall or no-show? Like feet and shoes, socks come in all different shapes, colors, and sizes. So how will you know what's best for you? Try them on! Balega is a joint American/South African company with a focus on the running. 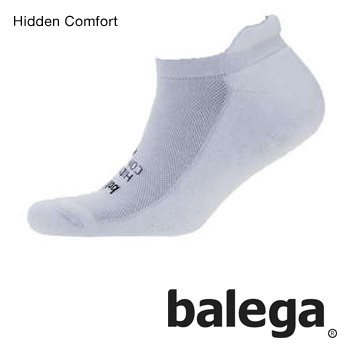 All Balega socks are designed, tested and manufactured at a state-of-the-art facility in Cape Town, South Africa and distributed in out of a facility in Hickory, NC. With a development team comprised of runners and athletes passionate about their lifestyle, Balega is committed to designing product of the highest quality and greatest comfort to withstand whatever your training dishes out. The difference is in the details. Feetures! is committed to supporting runners pursuing a healthy and active lifestyle. 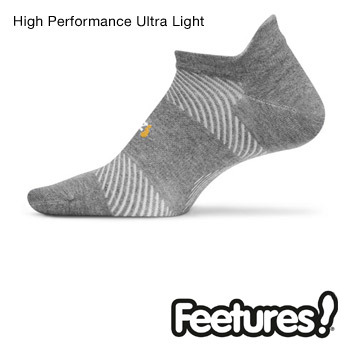 Created for runners by runners, Feetures! socks are designed to offer the superior fit, feel and durability that will keep you running. 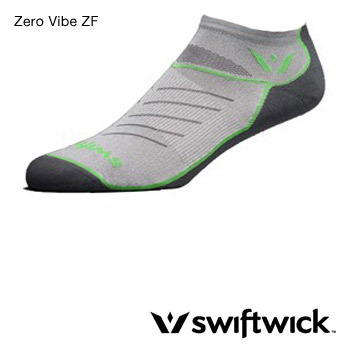 Incorporating the benefits of compression into their footbed, Swiftwick socks provide a unique fit and feel in a market full of me too brands. With every pair made in the USA Swiftwick aspires to provide the best product for athletes in their pursuit of excellence.